Who's Your Early NA Cup Pick? In Need Of A Nurse Mare? Up To Date With '19 Eligibility Fees? Are You & Your Horse Ready To Race? Click here to sign up! || Click here for MVP access! To visit the full SC Horses for Sale board or to list your horse click here. 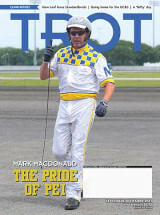 Of the top 20 horses listed in the TROT Magazine Spring Book, who do you think will win the 2019 Pepsi North America Cup?